Earth Day is celebrated each year on April 22nd. This day is a great opportunity to discuss environmental concerns and promote environmental awareness with your students. Check out the following websites and activities for Earth Day resources to use in your classroom. 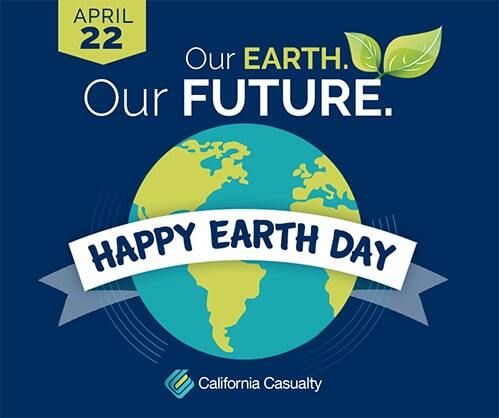 Head over to epa.gov/earthday for a variety of Earth Day resources. Learn about the history of Earth Day, watch Earth Day videos, and find out how to be an eco-conscious consumer. Plus, explore classroom project resources and lessons. Search a large range of free resources by grade level, subject, and resource type. PBSLearningMedia.org offers lesson plans, images, videos and more from popular PBS television series. Find a collection of activities, quizzes and lessons at TeachingHistory.org. Students can explore the history of Earth Day, conservation, and other topics related to the environment. Prepare for Earth Day using Science NetLinks lessons and resources. Find teacher-friendly lessons, printables, audio files, videos, interactive and hands-on materials. These resources cover a variety of topics like conservation, ecosystems, ecology, and more. Challenge students to make a solar oven, then have cookout together! Explore alternative energy sources using solar energy. This activity from Scholastic walks you through the process of hosting a solar picnic. You’ll find reading materials, instructions for building a solar oven, free printables, and other resources about solar energy. Students track how much trash is thrown away in the school cafeteria. Using a simple data table, students will identify the types of items thrown away (plastic, foil, paper bags, bottles, banana peels, etc). This information can then be used to create posters to hang in the building encouraging staff and students to recycle or use re-usable lunch items. Take it a step further and start a composting project! This lesson from Energy.gov asks students to compare compact fluorescent and incandescent light bulbs. Students will learn about energy efficiency through this experiment. Grab your light bulbs and thermometer! TinkerLab’s 50 Earth Day Activities describes kids activities using natural and recycled materials, and creating outdoor art. From building a Fairy Garden to Making Your Own Nature Journal, these Earth-inspired activities will encourage kids to be kind to the planet. You’ve spent long hours preparing for your career in teaching. Research, studying, student teaching, creating lesson plans and interviewing can only prepare you for so much. Your biggest lessons will come from experience. We’ve gathered some tips to remember as you begin your teaching career. Don’t wear your really cool clothes to school. You’re the teacher, not the cool teen trying to impress everyone. Make a connection with your students but realize not everyone will like you. Build professional relationships within your school. Watch others teach. You’re the adult in the room. Listen to advice and trust your gut. Don’t let work overshadow your personal life. Being a new teacher will come with its ups and downs, but knowing that you are making a difference with your students is what makes up for it. You are going to do great!